Having peaked at 116 in 2014, the number of newly proposed plans for major developments in San Francisco has been trending down ever since, a trend which shouldn’t catch any plugged-in readers by surprise. 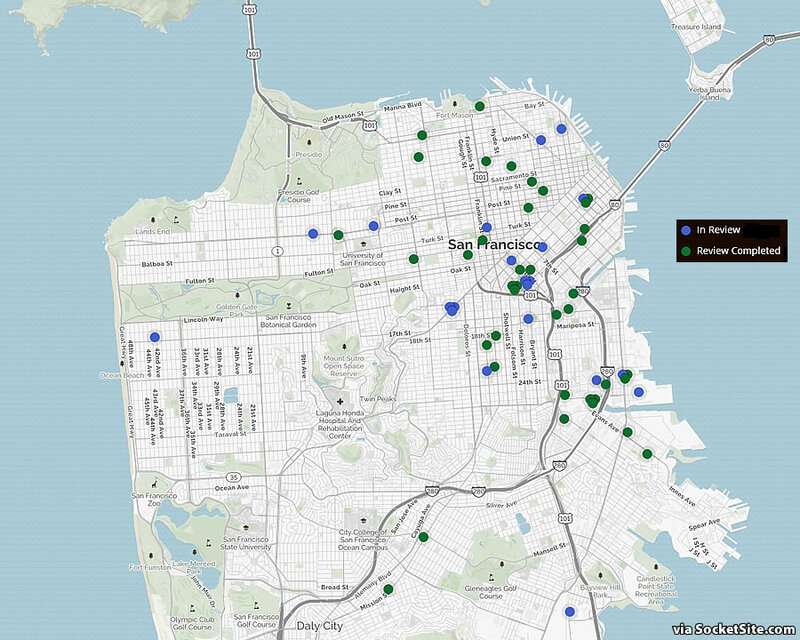 And with 20 preliminary proposals for major projects in the city having been submitted to San Francisco’s Planning Department in the fourth quarter of last year, the number of major proposals totaled 54 in 2018 as newly mapped above, matching the 54 submitted in 2012, which was the fewest since 2011 and 64 percent below the annual average number of proposals since. At the same time, with the number of newly proposed units of housing to be built in San Francisco having outpaced the number of units that recently finished up construction for the fourth quarter in a row, the overall pipeline of apartments and condos under development in San Francisco increased by nearly a thousand (960) in the third quarter of 2018 to a record 70,580, which is 7,275 more units than at the same time last year. And for the third quarter in a row, the number of units in approved developments which have already broken ground and should be ready for occupancy within the next year or two has increased, from 7,100 in the second quarter to 7,500 at the end of September, which is still 15 percent below the current cycle peak of 8,800 set in the third quarter of 2015 but 31 percent above average over the past ten years, while total sales have been trending down. 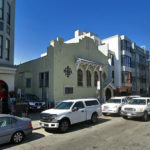 What’s the project on 4th and Bryant that has had its review completed? Is that the gas station? The Bonus Plans for [that] Central SoMa Gas Station Site (And More). Wow, that should be 20 floors of condos over 20 floors of hotel rooms with 5 floors of parking underneath. That loc has the separation to get some decent views of SF’s downtown skyline makers. Shouldn’t surprise anyone. 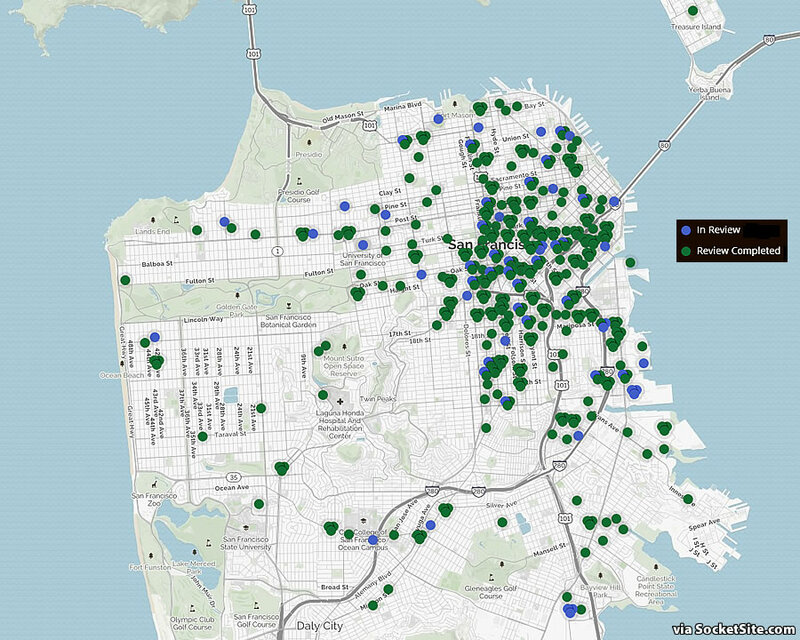 SF has made it virtually mathematically impossible to profit from building homes. The headline of this article gets everyone thinking all development is down. Who knew discounted homes for everyone means no homes for anyone? Pretty much like no formula businesses means no businesses and lots of empty store fronts. Looks like “San Francisco values” are unsustainable. But we still have streets covered in human poo and used drug needles every where, much to be thankful for ! And yet, one again, “for the third quarter in a row, the number of units in approved developments which have already broken ground and should be ready for occupancy within the next year or two has increased, from 7,100 in the second quarter to 7,500 at the end of September” (and which is a few more than none). How many were approved before the developers were extorted for more subsidized unit as opposed to after ? Plenty of other cities need housing and don’t steal from you to allow you to build it.